Description: Beautiful horse property with irrigation. This custom home is nestled on a full acre down a private, secluded lane. Home has 3 bedrooms and 2 bathrooms. 2-car attached garage. Plus a 3-car attached garage that is heated and cooled and a 2-car carport. Irrigation and house well on property. Horse stalls and 2 hay barns with electric service. Plenty of back yard access. Completely fenced. 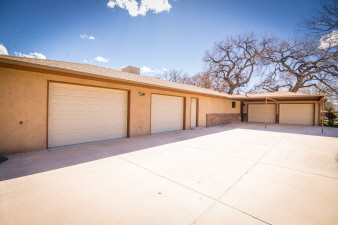 Wonderful living in the quiet country but easy access to i-25 and minutes to albuquerque. Close to all city conveniences.